The Press Trust of India news agency said two trains arrived from the opposite direction on separate tracks at the same time, giving little opportunity for people to escape. However, the casualties were caused by one of the trains, it quoted officials as saying. 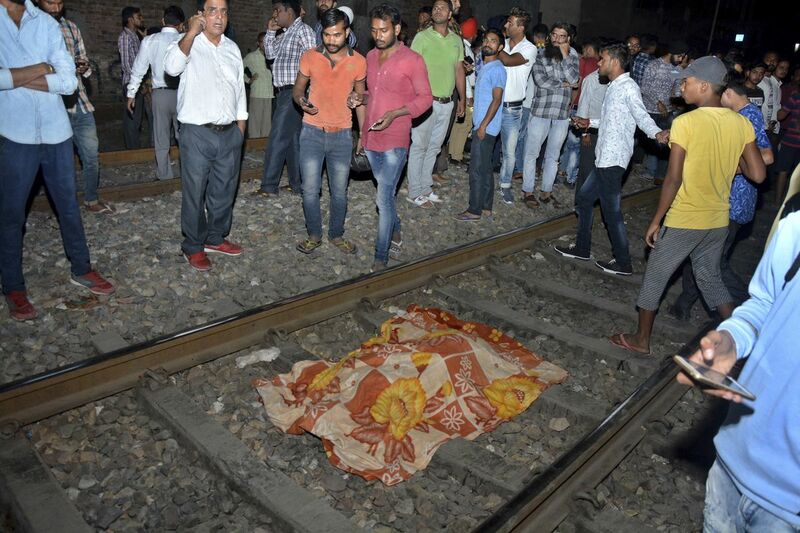 Following the accident, people rushed to the site and shouted at railway officials for not taking precautions. The site of the accident is nearly 300 miles north of New Delhi.